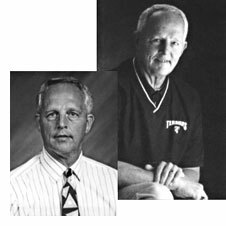 Taking over the football reins at Metamora in 1972 as Marty Stromberger stepped up to the A.D. job, John installed a new system, had only 6 returning lettermen and no conference affiliation. Still his team came in with a 3-4-0 mark. Helmick's next team went 11-0-0 (a school record) and followed that with a 7-I-I record in `74. His `75 team went 13-0 and won the Class 3-A state title. The `76 team ended at 12-1 after losing the Class 3-A title game to Geneseo 20-12. In his 5 seasons at Metamora, his Redbirds posted a 46-6-1 record while outscoring opponents 1536 points to 502. Four of his teams won conference titles and a 1st and 2nd place at state. member of the Illinois Football Coaches Hall of Fame.